If you are a Star Wars fan, you have likely felt either excitement or apprehension when considering the release of “Rogue One”. This is uncharted territory for the Star Wars universe. A movie without an episode number, without an opening scroll, and independent of a trilogy to tell the story. We knew it would be unlike any Star Wars movies we’ve seen already, and could only hope that it would take us someplace worthwhile. That hope did not disappoint! Rogue One brought us the endearing characters, plucky wit, and compelling action that many have come to love in this franchise of movies, television shows, and novels. It also brought us a gritty, heart wrenching picture of the realities of evil and the difficult choices we face – choices that don’t always allow us a clear view of the right and wrong. At the center of the film is a virtue that makes it quite appropriate for the liturgical season of its release. Hope. As we are given a deeper look into Imperial rule, which includes tyranny of Storm Troopers in the streets, an imperial work camp, and deception of the senate, the only force that can take on the Empire is unraveling. The Rebel Alliance is scattered and has no unity or direction. While rebel leaders are attempting to come together, they are surrounded by doubt and indecision. Can we fight this evil? Can we unite? Is this even possible? 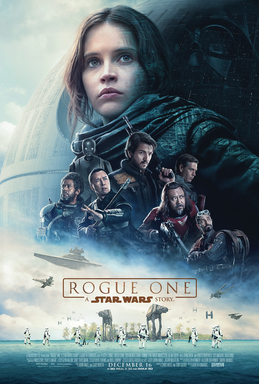 The heroine of the film, Jyn Erso, echos her rebel partner, Cassian Andor, as she attempts to rally the Alliance to a common mission saying that, “Rebellions are built on hope.” It is this hope that ultimately unites the Rebel Alliance and empowers them to fight the greatest evil in the galaxy. With Rogue One premiering during the third week of Advent, I can’t help but allow it to inspire me on this journey toward Christmas. Advent is the time in which we dare to hope against all odds that good will conquer evil. What is Christmas if not an audacious hope in the face of evil and tyranny? The divine plan would have seemed ludicrous to most people. That God would become a helpless infant would seem too far fetched, too unbelievable, too risky. And yet this seemingly ordinary, hidden birth was precisely unlikely enough to work. St. Ignatius of Antioch wrote that, “The virginity of Mary was hidden from the prince of this world, as was also her offspring…” Perhaps it was the simplicity of the Incarnation and the humility of his arrival that allowed God’s plan to unfold, and permitted him to come into the world undetected. The Incarnation proves that the Lord abounds in hope and is willing to risk everything for us, His beloved. The wonder of Christmas lies in the immensity of that risk which was taken for our sake. So whether you’re a Star Wars fan or not, let your heart be amazed by the power of hope. Because hope may have sparked rebellion a long time ago in a galaxy far, far away, but hope born in a Bethlehem stable continues to ignite the divine love in our hearts today. Once, I was a star trek and star wars fan, not so much anymore. But I do have hope. 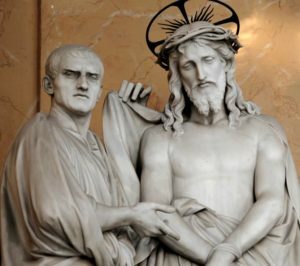 I hope that if someone sees an error in my understanding of the basic issue of the incarnation, that God became man and was subject to Joseph and Mary and thereby revealed God’s eternally changeless, always in the present tense Divine will, to be subject to them, I hope someone will help me see my error. IF,The virtues that children and adults exhibit should be seen by them as the the product of their efforts and the efforts of their parents, and we should expect good people to demonstrate the virtue of seeing their own goodness as the result of their upbringing and to honor their parents by mentally giving the parents the credit for any good the person does, and, Jesus is the infinite perfection of every virtue and therefore this virtue: then, He must have, as an adult (and therefore eternally in heaven), mentally given credit to Joseph and Mary for the way they raised Him and trained Him in the Faith and in the ways of perfection as this was their obligation as parents, and we can be certain that as a child, Jesus knew and asked every question that could be asked of Joseph and Mary so that Jesus could, as an adult, teach as much as possible knowing that He was thereby honoring Joseph and Mary by passing on the knowledge “given” to Him by them. 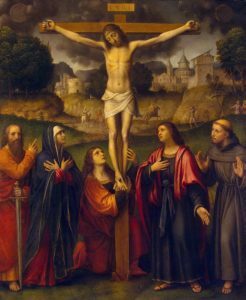 To conclude otherwise would be to give Jesus the thought that “I could do more to honor them, but I choose not to” and then He would not be the infinite perfection of every virtue. 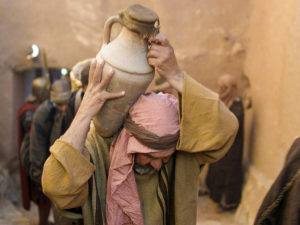 Can we not then conclude that the child Jesus, who being God and therefore always knew all things and always was infinite goodness, continued to “advance (in) wisdom and age and favor before God and man” (Luke 2:52) so as to demonstrate the spiritual growth a child would make if all parents were as good at teaching and demonstrating God’s law as Joseph and Mary were. Since Jesus, as a child, asked Joseph and Mary all the questions He could so as to Honor them, as an adult, as His teachers in the faith, we can then conclude that this was and eternally is the infinite, changeless, indivisible, always in the present tense Divine Will contained in the Name, “JESUS” (CCC 2666), and that we should conform our will to God’s Will and go to St. Joseph and Mary, (St. Joseph as the spiritual head of the Family who most perfectly relied on His helpmate, Mary who felt supremely honored and thankful to be Joseph’s helpmate), for all the questions we should be asking so as to find God’s answers and to thereby conform ourselves most perfectly to Jesus, who is the same yesterday, today, forever, eternally willing to be subject to them (Lk. 2:51).